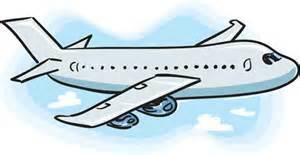 As I settled myself in my seat next to the window I noticed an elderly lady making her way up the aisle. She was dressed all in lavender. With her white hair and deep blue eyes it was a great color for her. She had a billowy scarf around her neck that floated out behind her as she made her way closer to me. I was hoping she would sit next to me as she looked like someone who had led an interesting life. It was going to be an even longer flight if I didn’t get someone worth talking to next to me. I’m not much of a talker myself, but love listening, and elderly people usually have the most wonderful stories to tell. I smiled as she walked and slowed down, she glanced at her ticket and then at the number on the seat and smiled back at me. “Guess this is my seat.” She said to me with a sweet voice. I noticed that with her words there was a faint accent in her pronunciation. I couldn’t quite put a place to the accent, but that was okay. Maybe she will tell me without me being rude and asking. The plane was filling up fast, as my companion for our flight sat down and made herself comfortable. There was still an empty seat between us and I frowned to myself hoping it wouldn’t get filled with some loud mouth. Or worse yet some old guy who would fall asleep five minutes after take off and snore the whole time we are up in the clouds. I held my breath as the plane door was closed and it seemed I was going to get really lucky and have the seat right next to me remain empty. What luck! As this very rarely happens. We all sat through the instructions for emergency landings and I watched out my window as we lifted off the ground. One of my favorite times is at liftoff, where you feel your stomach fall to your feet and the slight pressure in your chest as we headed straight up into the blue sky. I closed my eyes and relished the feeling of freedom. As I sat with my eyes closed wondering how I could open a conversation with the lady on my left, I began to hear humming. The lady was humming to herself as she rifled through her purse. I glanced over curious. 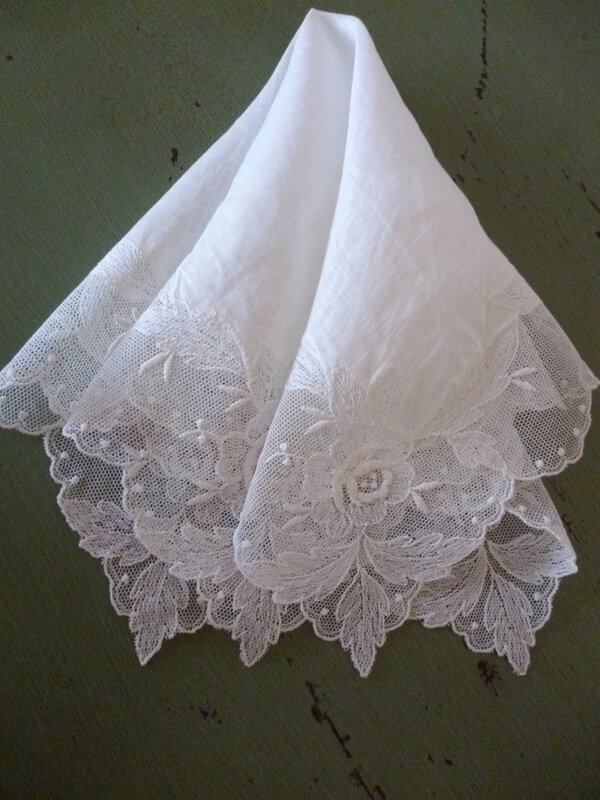 She looked up and smiled and pulled out a dainty little white lace handkerchief. A handkerchief! I haven’t seen a woman use one of those since my grandmother was alive years ago! How quaint! My companion continued to hum as she stuffed her purse down in the seat next to her slight body. She sat there with folded hands, the handkerchief peeping out under her fingers. I looked back out my window and then felt a small warm hand on my arm. I raised my eyebrows in surprise. Read my palm? She was a palm reader? Now that I wasn’t expecting! I’ve got nothing against palm readers. In fact I’ve had my palm read once before, years ago. It was pretty accurate, almost frightenly so. I gazed into those sharp blue eyes and found myself holding out my hand, palm side up towards her. She held my hand with both of hers and one thumb gently rubbed over my palm. There we were, heads almost bumping, hunched over my hand in hers, being held over the empty seat between us. We were silent as she looked my palm over. Then she began to softly speak. The old woman took my right hand and turned it over and then back again. She bent my fingers back slightly, then turned my hand palm face up again. I didn’t say anything to what she was saying to me. Her voice was soothing and mesmerizing. I just watched her face and felt her warm hands covering mine. I bit my lip but kept silent. All she said was true. But that could have been said of any number of people. You cannot live a life without sorrow coming into it. Again I almost shrugged my shoulders, as it could have been said of anyone. I was beginning to feel let down a bit. I sighed softly as I tried gently to take my hand back. She gripped it tightly and looked me in the eye. With those last words she put that lace handkerchief in my hand and closed my fingers over it. Then she leaned back in her seat and closed her eyes. She suddenly looked tired to me. I sat back and looked at the handkerchief peeping out of my fist and gripped it harder. I still hadn’t said a word. Then a thought flashed through my mind. I never told her my name. Wow! that felt like it really happened. Loved it. You had just the right balance of descriptive words and forward moving action words. The story was compelling and curiosity-laden. I can’t believe you came up with that on a prompt. Thank you very much! It just seemed to flow, which believe me does not happen often enough. That did feel as if it were an event you lived and were telling us about. It felt so real, loved it. Lovely encounter! I really enjoyed reading it. You need to remember what she said, Jackie, and take it to heart. Particularly the part about further potential! She was so accurate – again! Wow! Wonderful story! 🙂 Did this really happen? No I’m sorry it didn’t. Complete fiction. 🙂 I did have my palm read once years back and it was quite eerie. So maybe I was thinking of that time. Just a different setting. So glad you liked it.